The digital storefront will sport a separate area to help highlight indie games on PlayStation platforms. Sony has made some notable strides as of late to help bring more indie games to PlayStation platforms. PlayStation Mobile was established in 2012 to help court smaller, unique projects, while recent months have seen the company announce ports of prominent indie titles like Hotline Miami and Lone Survivor for PS3 and Vita. Sony has also received praise both recently and in past years for its support of smaller titles, with Papo & Yo developer Minority Media crediting the publisher and hardware maker for playing a substantial role in the game's rising stature and success. 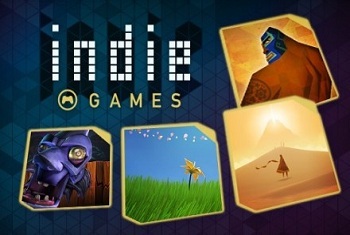 Despite Sony's apparent desire to support indies however, the PlayStation Store has never had a section dedicated exclusively to independent games. Now, it would seem this is no longer the case. Sony has announced that the PlayStation Store is adding a full-fledged indie section and will be offering discounts on several games to celebrate. From May 7th to the 21st Retro City Rampage will be half off while Papo and Yo will receive a forty percent discount (fifty-five percent for PlayStation Plus Subscribers). PlayStation Plus member will also receive Zombie Tycoon II as a free game for a limited period of time. A dedicated indie section to the PlayStation Store will likely be a welcome addition for indie developers with their sights set on the console market, especially in the light of past experiences with other hardware. Microsoft and the Xbox 360, in particular, have at times had a rocky relationship with indie developers, in large part because of changes to the Xbox 360 dashboard that, over the years, have made it more difficult for consumers to find and buy indie titles. The hope now is that the PlayStation Store's indie section will do just the opposite, furthering the visibility of indie games on Sony platforms.